February 16, 2015 by Ecommerce News. About Funding with tags France. 2977 views. 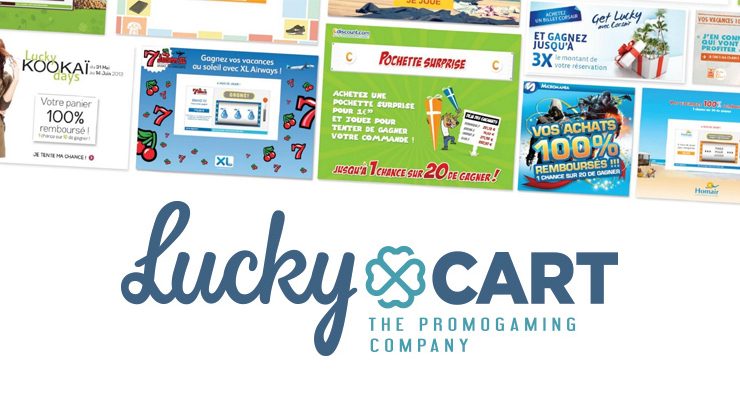 Lucky Cart, a French startup that specializes in so called ‘promogaming’, has raised 1.6 million euros from Partech Ventures, Kima Ventures, Venture Pleiades, Fa Diese and Edenred. With this new funding, Lucky Cart wants to expand in Europe, expand its sales team and develop a SaaS platform. Lucky Cart is a promotional solution that allows online retailers to offer their customers the opportunity to play a little lottery on the order confirmation page, so they can try and win a refund of their purchase they just completed. Lucky Cart found that when online shoppers are offered the choice between a small discount on their purchase (say 5% or 10%) or the chance to play a game and win the equivalent value of their shopping cart, they choose the latter. In France, major retailers like Cdiscount and PriceMinister are already offering the solution of Lucky Cart on their websites. The news comes from Frenchweb.fr, a French magazine dedicated to innovation, which interviewed Lucky Cart’s founder Cyril Marchal about the investment news.